The Urban Botanist was created from one of those once in a lifetime moments. Lucy Serafi, founder of the company found herself standing in her Auntie’s kitchen in Vancouver. This was at a time when one world was falling apart-Lucy had recently separated from her husband and father of her two children. 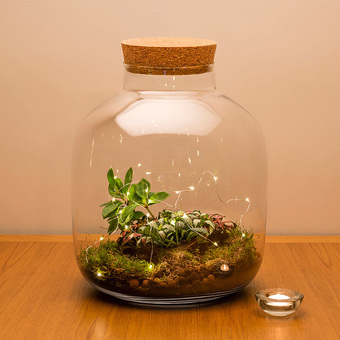 As if by fate, Lucy fell in love with a terrarium hanging in her Aunties home, within minutes Lucy identified a gap in the UK market and within minutes The Urban Botanist was born! With Lucy’s passion, vision, artistic flair and perhaps her strongest attribute sheer determination, Lucy was able to use this difficult period in her life as a platform to launch her own company and is now a proud and successful single mummy and entrepreneur. Like with any small business we've had our ups and downs. Jim, Lucy's brother and co-owner has been of huge support launching the business and getting it to where is now. We are now in to year 4 of trading and have invested in renting our own premises. Locating the correct environment for our plants to bloom with a little natural sunlight and warehouse space for stock storage and room to create the product within a close vicinity to the children schools proved difficult but we have found the perfect spot! During busy periods we provide employment opportunities to other working mummies. And in 2017 Lindsey Caldwell a further single mother and a friend, has come on board as a partner and creative director. We at The Urban Botanist feel our stunning and unique products do the talking for us! They have visual appeal like no other and we really do pride ourselves in the beauty and impact of our products and the their ability at ‘Bringing Any Space to Life’ . 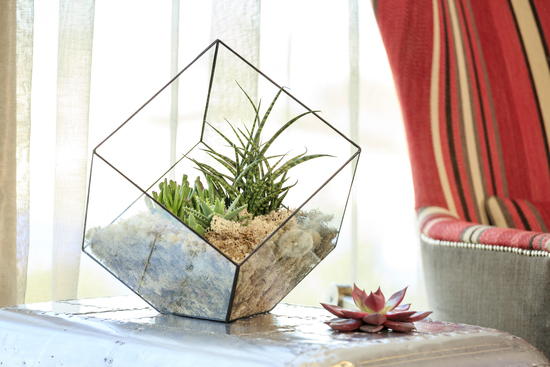 Our Botanical products include design-led Terrariums, Closed Ecosystems, Living Walls, Moss Art, Living Lamps and Urban Planters. We have tried to create a varied array of products colours, metals and materials to create a contemporary and chic individual piece to complement any interior. Our vibrant and distinctive products range from self sufficient ecosystems and zero maintenance moss art for those wishing to embrace the botanical trend but have busy lives to lead. Our more creative and hands on customers prefer the DIY option. This is a popular gift for parents, a valuable experience creating something together with children to treasure forever. You the customers are the heart of our company and we have tried to create a stylish innovative range for the perfect gift to suit all occasions and moments that need recognition. Our products appeal to both male and female and the younger to the more mature botanists! Lucy and myself host many of our creations in our homes -fully embrace and encourage self-gifting! Go on you deserve it! Many of our products can be accessorised with LED fairy lights, this gives an instant wow effect. We have recently joined forces with an artist/engraver this has enabled us to offer you the customer that special touch with a beautiful engraving service allowing you to express yourself in a heart felt message to you loved one. We invest both time and care handpicking distinctive succulents and cacti, selecting elegant and exotic pant species from Amsterdam. Plants have many benefits to us and are more environmentally friendly and longer lasting than fresh cut flowers. 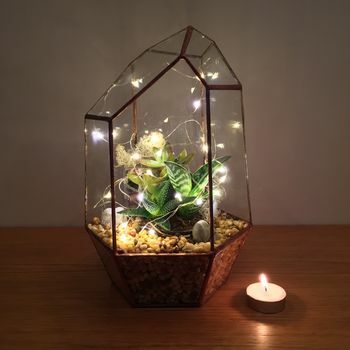 "It's absolutely gorgeous on its own but it's totally stunning with the fairy lights on. I bought this as a birthday present for my Aunt and she was over the moon with it." Orders will be dispatched within 1 working days wherever possible. Orders placed on a Friday evening or during the weekend will be posted on the following week.